Okay, so you’ve been with the kids all summer, taken your family vacation, and enjoyed every moment. Now, it’s time for a little romantic getaway just for the two of you! Of course, when I’m looking for a getaway, I always look for a great place to recharge, but it’s really about the food for me, which makes for the perfect all round getaway experience. Wining, dining and romancing is what this getaway is all about! Here are a few of my favorite Romantic Getaway spots that offer a comfy, cozy environment and fabulous cuisine. This week’s feature, one of our favorite romantic spots, and my recommendation for your fall romantic getaway, Post Ranch Inn and the Sierra Mar Restaurant. Check out their website Postranchinn.com. We have visited Post Ranch and Sierra Mar many times and it has to be one of my favorite dining experiences. The food and wine are fabulous and the view simply spectacular. 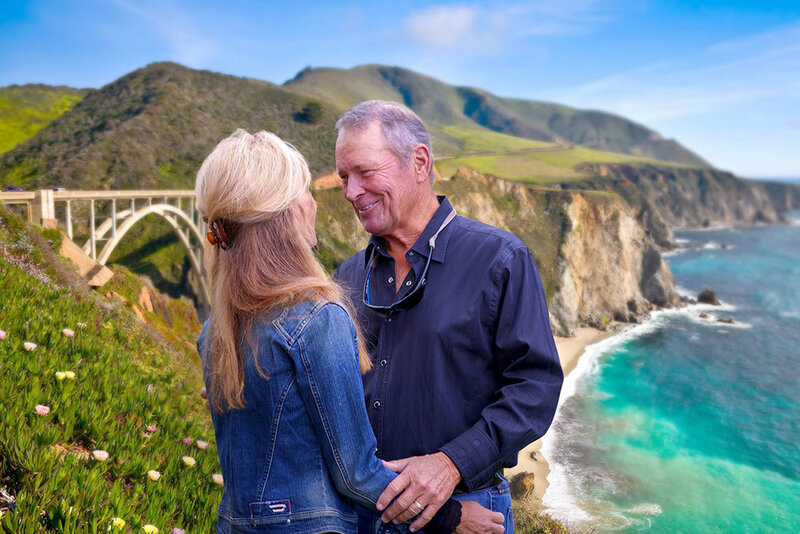 With the quaint and wonderful town of Carmel just minutes away, and of course, beautiful Pebble Beach, there is so much to do and see close by, or you can just stay on the cliff of Big Sur and enjoy each other! My recommendation for a fall getaway. The vistas at this most magnificent spot are spectacular. Enjoy your romantic getaway, whether traveling near, far, or just having a special staycation at home! Located on the Monterey Peninsula, 140 miles south of SF, 94 SanJose 25 Monterey 20 Carmel, down State Route 1 through curves and cliffs and the most incredible views of the Pacific Ocean, rugged CA coastline with the Santa Lucia Mountains bordering the east and the Pacific bordering the west. Activities include hiking, bird watching, wale watching and beaches. High in the cliffs, site the most beautiful hideaway, Post Ranch Inn and the Sierra Mar Restaurant.